For more detailed information, please click the service you are interested in below. If the service you are looking for is not listed, or you require more information, please contact us. Bec N Call is a Preferred Provider of Transportation Services for Allen Premium Outlets! 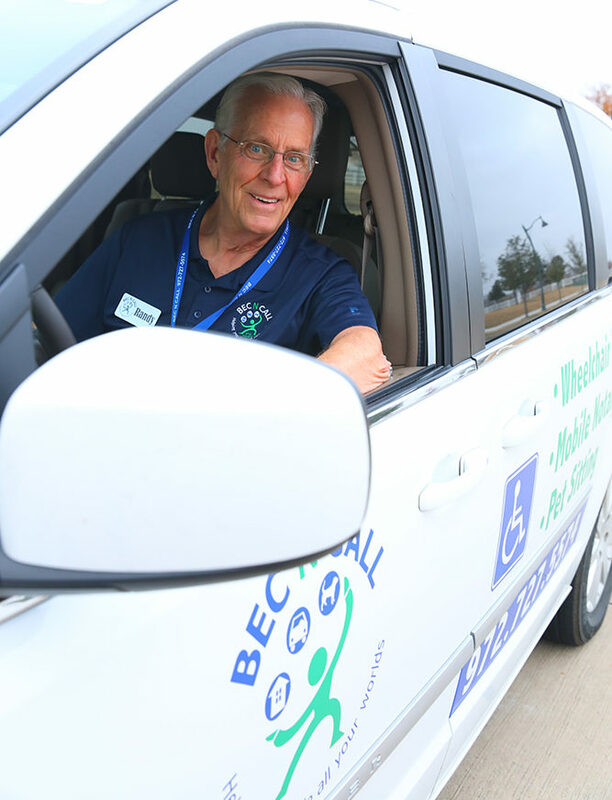 Bec N Call provides wheelchair transportation 7 days per week, 24 hours per day. We currently run 6 wheelchair vans daily taking clients to and from medical appointments, dialysis, chemotherapy, out to dinner or a movie and other shopping engagements. We also have a 14-passenger bus that provides seating for 12 passengers and 2 wheelchairs in the rear, and a bariatric van that allows us to transport clients who utilize power chairs or scooters (the van has an extra wide loading ramp that can accommodate up to 1000 lbs). Each of our wheelchair vans is equipped with first aid supplies and oxygen that can be utilized while en route. Our drivers can stay with you at your appointment or drop you off and return when you are ready. It is always the client’s choice. We work with area hospitals, retirement and assisted living communities, nursing homes and rehabilitation facilities. In-home daily pet sitting is available for all of Collin County. Each visit includes, but is not limited to, feeding, walking, playing, administering medications to pets, mail and newspaper pick-up, lights rotated, plants watered, and trash bins taken out and retrieved for no additional charge. The pet sitter will come meet with you for an initial interview and to fill out a detailed itinerary, so he or she can better cater to your pet’s individual needs. We want all our clients to feel comfortable with our staff members who will be taking care of your home and pets. House sitting service includes indoor/outdoor property checks, turn lights on/off, check to ensure appliances/utilities are working properly, bring in mail, pick up newspapers, flyers and driveway clutter, open and close blinds/drapes, flush toilets, water plants inside/out, and adjust air conditioner upon customer return. 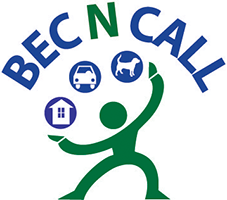 Bec N Call provides notary services at your location. We come to your home, office, hospital room or other healthcare facility. Our Notary is a Certified Signing Agent with the National Notary Association and is able to complete Powers of Attorney for financial and healthcare, Living Wills, Wills, Home Purchases, Refinances, Cash Out Transactions and Annuity Signings. We are licensed, bonded and commissioned by the State of Texas. We wait for your deliveries and appointments with telephone, cable, repair, and utility companies. All reasonable and legal requests will be considered. Please contact us for a personal consultation if you do not see your required service listed. 24-hour notice is requested, but we will do our best to meet deadlines outside this recommendation. Our phones are answered 24/7.